Tawas City was founded in 1854 as the first city to be located on the shores of Saginaw Bay and Lake Huron north of Bay City. Tawas City was established as the county seat of Iosco County, and the first post office was established January 6, 1856, with James O. Whittemore appointed postmaster. Since Tawas City’s founding, the community’s economy has been a major factor influencing land use and development patterns in the city. 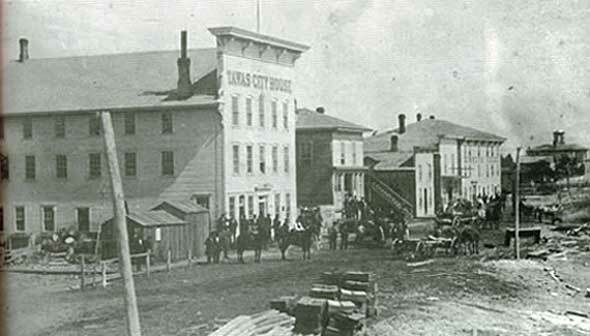 The rich natural resource base of the area (forest lands, Lake Huron and wildlife) combined with the protection offered by Tawas Bay provided the basis for the original founding of the city and caused the lumber industry to flourish. Tawas Bay continues to serve as a harbor of refuge that large freighters use to escape the adverse effects of storms on Lake Huron. The shoreline, as the transition zone between land and water, became the focus of the community, with the city developing in a linear fashion along the bayshore. Statements made that “Tawas” is derived from the word “Ottawas” and that the Ottawa Indians once inhabited this region are false. The Indians, who in early days camped along the shore of Tawas Bay and near the mouth of Tawas River, were a tribe from the Saginaw band of Chippewas. Their leader was Chief O-ta-was. What we know as Tawas Bay was in reality O-ta-was’ Bay, for on its shore the old chief had his camp. Early map makers dropped in an extra “t,” as can be easily verified; later map makers dropped off the “s,” for the name of the point of land that divided the bay from Lake Huron was known as Ottawa Point until comparatively recent spelling and pronunciation for the name of our earliest residents, have given us the name Tawas. Want to learn more about the history of the region? Check out the Iosco County Historical Museum website for more information on our past.